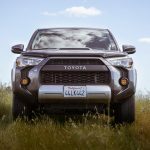 Looking for Inexpensive ways to enhance the look of your 4Runner? Check out our picks for the top cheap mods! 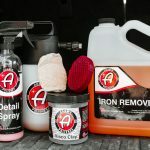 Sometimes things like new wheels, tires, suspension, tinted windows or aftermarket lighting make a big difference in the appearance of your vehicle. All of these things are really nice, but they tend to be expensive. 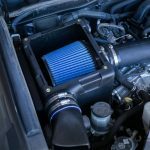 What are some cheaper ways you can set your vehicle apart from others? What are the small details that can make all the difference? 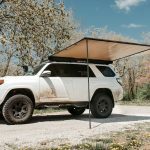 I have found a few that I think make my 4Runner unique, look better and ultimately set it apart from all the 4Runners on the road. Here are a few upgrades that are inexpensive, very easy to do, and can be customized to your unique style. When you go to put air in your tires or air down for off roading you will first take off your valve stem caps. 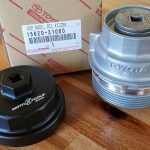 You probably never thought that you could make your 4Runner look better with aftermarket valve stem caps (I know I never did), but I think you can…at an extremely affordable price. There are all sorts of aftermarket valve stem caps out there, but I found some that are under $5 and fit my black TRD Sema wheels. The caps are made by Slime and are called Barrel Valve Caps. 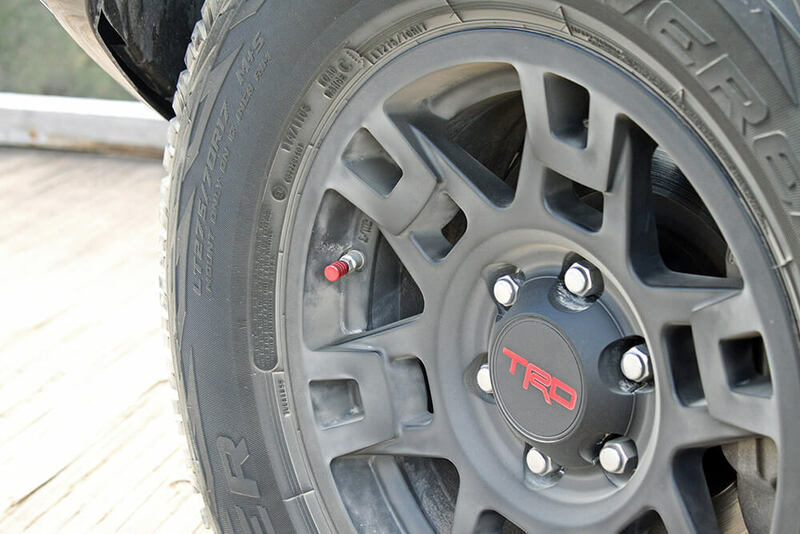 Since I have the black TRD Sema wheels with the red TRD logo emblem in the middle I decided a red cap would look nice. Of course, this is a personal preference, but to me, it looks really nice and adds a nice little touch… all for under $5. The quality of these caps are pretty nice too. It is also very easy to unscrew these caps as they have a textured grip that make it easy to unscrew even if there is mud, water, or anything else on the cap or your hands. If you aren’t into the red caps, there are other colors available as well as different companies that offer valve stem caps. Considering how cheap and easy it is to install these valve stem caps I would highly recommend customizing your 4Runner with some aftermarket valve stem caps. Just a heads up, the 194/168 bulb works for many locations our 4Runner. One upgrade that I have always enjoyed doing is lighting. Although I have some articles published on exterior lighting, I want to focus on upgrading your interior lighting. 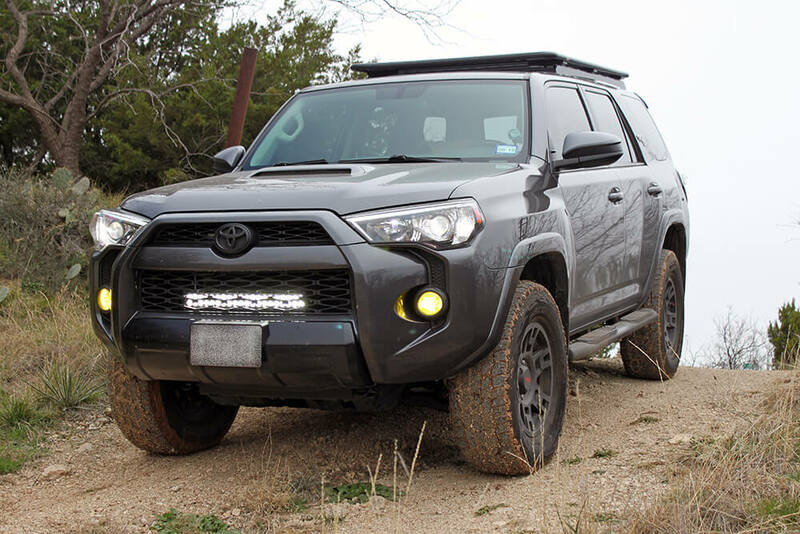 There are some pretty slick ways to give your 4Runner a custom look with LED lights. I have converted my interior lighting to LEDs. I went with the standard white (6000k) LEDs for almost everywhere… except for my courtesy door lights. 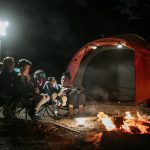 There are several different colors of LEDs offered by companies such as Diode Dynamics, Philips and Sylvania. 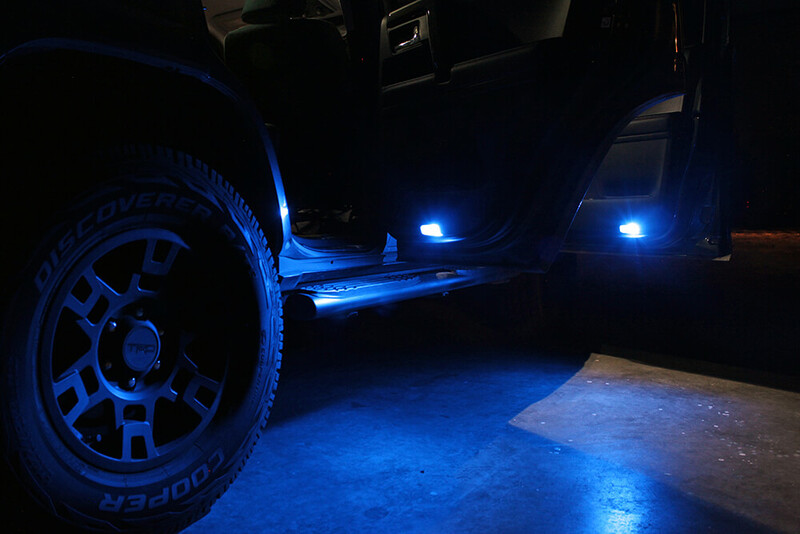 I chose to install some blue LED courtesy lights and I think it adds a really nice, but subtle touch to my 4Runner. You can get many other colors as well, such as red, green, orange, etc. I only made the courtesy door lights blue on my 4Runner as I still wanted a nice and professional vehicle and I also wanted to maintain a nice, clean white lighting in my interior. Considering the courtesy lights only come on when the doors are opened I think I achieved just the look I wanted. You can get courtesy door lights relatively cheap, but on average I would expect to spend around $40 for a complete, four-door courtesy LED lighting swap. 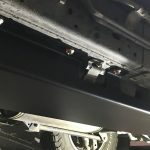 Not sure about plastic pry tools, they really help when accessing tight locations on the 4Runner, check out this overview. We use them on almost every install. They come in hand around the house also. AJT Design makes some pretty nice key fobs for many makes and models out there. They make a really nice key fob for the 5th Gen 4Runner. If you are looking for a cheap and affordable addition, consider a set of these key fobs. You have plenty of color options to choose from. You can even choose your hardware option if you see fit. The installation is pretty nerve-racking as you pretty much have to damage your OE fob in order to get the AJT Design key fob to work. You need to break open your key in order to break free your transponder. This is a little chip that talks to your computer in the truck. Totally worth it for the $30 or whatever the current price is. This is an awesome mod you can do for way less than $40. This mod also features a handful of different purposes. 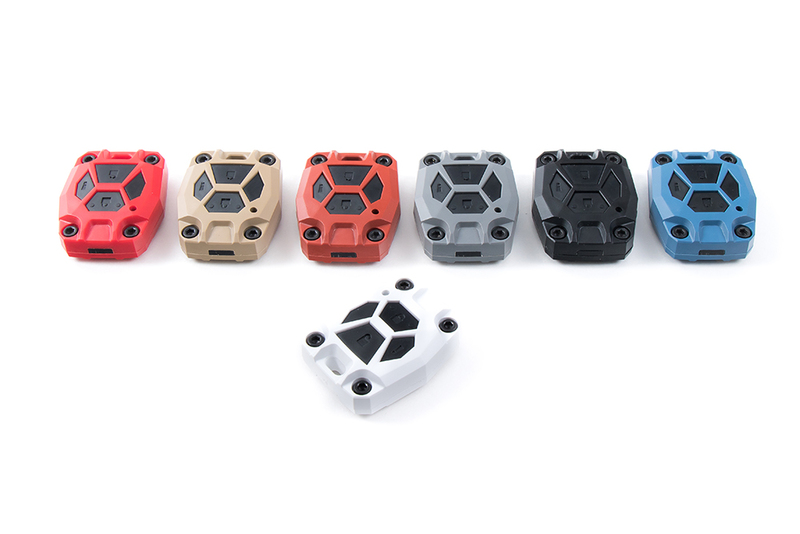 You can use the Lamin-X Fog Filters to change the color of your light output. And, although the color change will be minimal, it may be just enough for some. 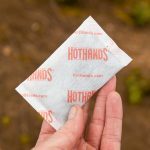 For example, you can purchase a yellow or amber filter to help cut through rain, hail, and snow more efficiently. Lamin-X also offers other colors like clear (glass protector), smoke, blue and a few others. 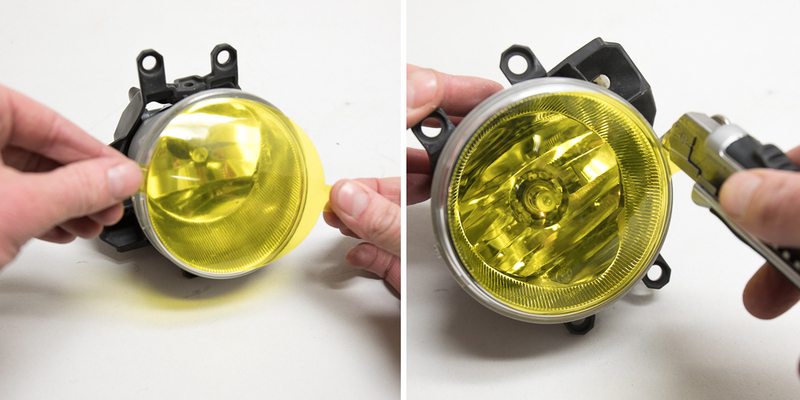 If you are going for that “yellow fog light” look, then the Lamin-X filters may be up your alley. And, at under $20 bucks, this is a mod that just about anyone can afford. As mentioned above, the Lamin-X filters also work as glass protectors for your fog lights. These filters will protect from rocks chipping your glass. You can add Lamin-X filters to many other aftermarket fog lights as well, Baja Designs, KC HiLiTES, Morimoto Fogs and many others. Keep those fog lights protected with Lamin-X! Another great way to add some character and style to your 4Runner is by adding some emblems, decals, stickers or whatever the appropriate name might be. I personally do not like too many logos on the outside of my car, as I like a sleek look. You might like outside stickers though. 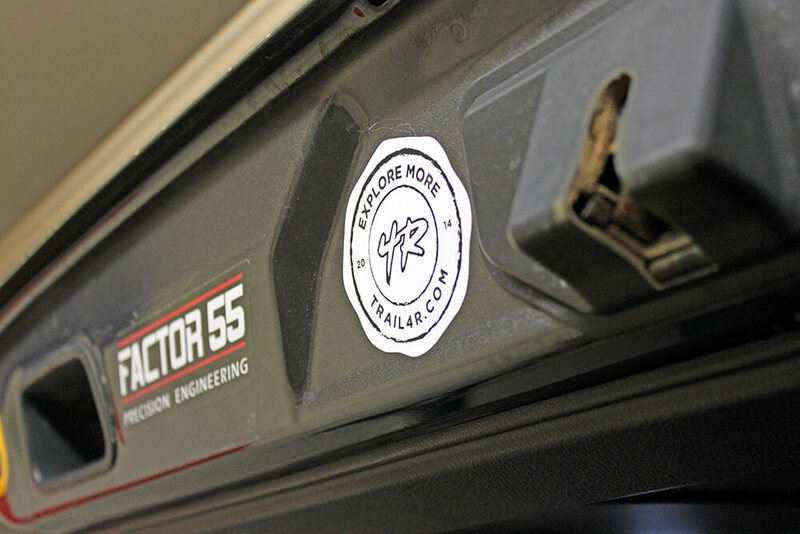 One spot I really like to put some stickers is on the rear liftgate. Just like with the blue courtesy door lights, you never see these stickers unless you have the rear liftgate open so it is a nice way to add some style but still maintain a sleek look. If you do like stickers on the outside of your car, the exterior windows are great locations. The nice thing about this “upgrade” is that it is very inexpensive, you can add more as you get more gear, and if you decide you don’t like the look you can always remove the stickers. 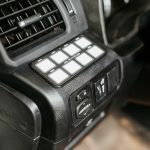 Typically, when you purchase some new equipment like a lightbar, suspension, or some recovery gear the items you purchase will come with the companies stickers. This is one of the best ways to come across some stickers, but there is also a plethora of options online. As to what stickers and decals you should put on your 4Runner, that is completely up to you. Make your 4Runner identify with who you are and what you enjoy. 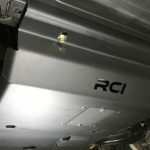 No matter what decals you might put on your car, this is an inexpensive, quick, easy and simple upgrade to add some detail to your 4Runner. I will admit that most of these upgrades are strictly cosmetic. However, I will say that each and every one of these mods have been noticed by at least one other person as I am often asked about my blue LED door lights or where I got my red valve stem caps. The stickers on the back of my car also make for some nice conversations on what each one is, how I got it and why I chose to stick it on my car. 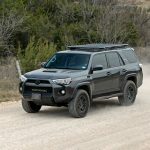 I hope these mods give you some cheap, but cool options of things you can do to customize your 4Runner. 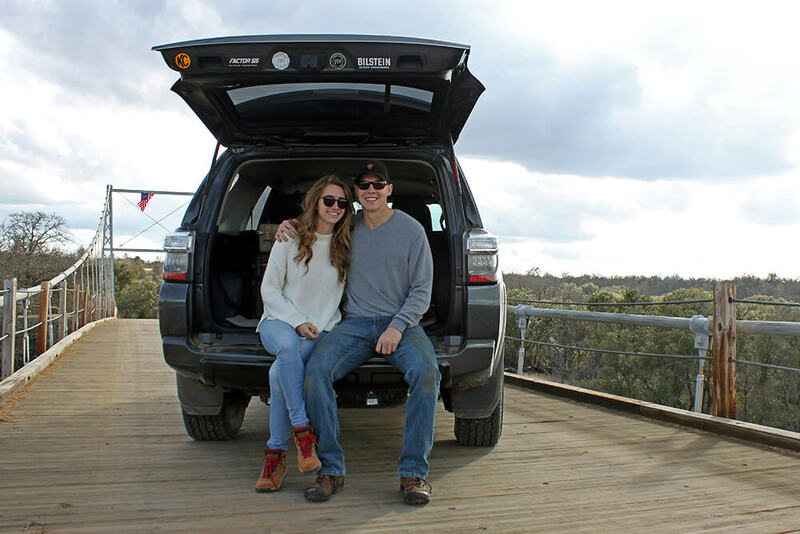 Try some of them out and start making your 4Runner unique from others on the road… and off the road. Questions, Comments or other Cheap Mods? Leave them below! Maybe its not the place for this question but here it goes. This thing seems to show tire pressure in real time , I was wondering if existing OEM sensors will interfere with this system. 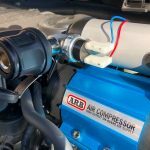 Will OEM internal sensor interfere with external sensors readings and vice versa?